Sketch Nation: BBC News Article About Sketch Nation Shooter! BBC News Article About Sketch Nation Shooter! Designing a game yourself was Engineous Games' goal. 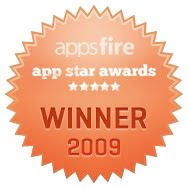 Winners of the AppsFire developers contest, its Sketch Nation app starts life as a basic arcade game, but every feature and graphic in the game is created by the users - but not using a graphical application. Players sketch out ship, enemy invaders and other objects on paper, and then the smartphone's camera takes these pictures and places them into the game. Not only is it a great game, but it also releases the creativity of the user in a simple way.